Brazil, the territory for the Amazon Forest, and 50% of the world’s biodiversity, it is also the largest country in South America. Almost half of its energy comes from renewable sources - 75% from hydroelectricity and the remains from biomass, solar energy and ethanol. The number of unused resources attracts investors from different segments. Moreover, the Brazilian’s textile and fashion industry together value $63 billions, working with almost 30,000 companies producing $9.5 millions of garments every year. However, 60% of all the textiles used on Brazilian brands are still precedents from Asia – China ($1.450 billions). This incoherent situation sits on labour costs and high taxes around manufactured products. These are some of the currently barriers within the Brazilian fashion industry. That being said, only 15% of its production is being exported, which is an interesting case for international investors. It is a huge land for business opportunities when compared with China, India, Vietnam and Bangladesh. Most of these countries are export-oriented, although underprivileged when natural resources are compared. Brazil is a myriad country full of sustainable possibilities from fiber to production. 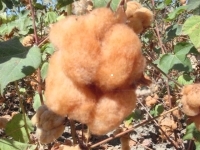 EMBRAPA ( Brazilian Agricultural Research Corporation) has developed a natural cotton colour and ­ a natural coloured seed ­ without chemicals saving 70% of water production. Through its strategy, a new fashion brand called ‘’Natural Cotton Color’’ was created and supported by EMBRAPA. The natural cotton colour was introduced in 2011 and consequently been used for fashion designers; for example Ronaldo Fraga – a Brazilian fashion designer – who has used it in his collection during Sao Paulo Fashion week in 2014. The cotton evolves sustainable practices and incorporates values into the whole supply chain. Recently, the natural cotton colour is founded in several countries: United States, Germany, Portugal, Spain, Italy, Switzerland, France, England, Denmark, Japan, and so on. Natural Cotton Colour, the industry revival!